Today, I’d like to share some of my top Advocare success tips and teach you how to make money as an independent distributor. Although I am not a distributor with the company, I’ve been involved in the network marketing industry for over 16-years now, and have experienced success. I’d like to share a few things that have helped me immensely in the industry, that I know can help you grow your Advocare business as well. These Advocare success tips are listed in no particular order. Without a doubt, the biggest issue most new reps have is they don’t treat their Advocare business seriously. Because they don’t have much money invested in their business, it’s not a top priority to them. As a result, whenever life gets in the way, the business gets put on the back burner. Even worse, most people join the business with an employee mentality. They’re used to trading hours for dollars and taking orders from someone else. They’ve never owned their own business before, so they don’t act or think like an entrepreneur. When you join Advocare, you start your own business. You become an entrepreneur. You need to transition to the entrepreneur mindset if you want to succeed with your Advocare business. This means you have a big vision, clearly identified goals, a plan for success, and a strong work ethic. It means you see things before they exist, and you take the long-term view, instead of expecting immediate gratification. All successful businesses have a WRITTEN plan and strategy. You need to do the same thing with your Advocare business. Take the time to determine your Unique Selling Proposition, which is another way of saying “why should people do business with me and not someone else?” In addition, determine your target market and how you will reach them. Put these things down on paper. I have a simple one page business plan for my business and it helps me immensely. There is no need to reinvent the wheel in Advocare. Find someone who is already successful in the Advocare business and follow their lead. Humble yourself enough to swallow your pride and do what they suggest. If they’re already successful, they know what works and what doesn’t work in the business. Having a mentor in your corner is vitally important to your long-term success in the business. In most cases, this mentor will NOT be your sponsor. Instead, it will be someone successful in your upline. No matter what anyone else tells you, know this. This business is a numbers game. Most people you talk to will not join or buy. Most people you sponsor will do nothing and quit. Your job is to keep personally recruiting new distributors, and finding new customers, every month, and never stop. More than half your team will drop out each year, no matter what you do to help them. Lead by example, and always recruit at least two to four new distributors each month, personally, and find 2-3 new retail customers each month. To make it to the top, you’ll probably have to personally recruit 100-200 people, to find 3-5 serious people. Those numbers seem to be the norm in most network marketing companies. If you sponsored just one new person a week, you could sponsor 100 to 200 people in just two to four years. Even a part-timer can do that, if they work the numbers. Learn everything you can about the products, the company, the system, and network marketing. Subscribe to trade publications. Attend all company and team events. Listen to tapes and CDs to improve your skills. Read books. Work on your personal development. That is what serious entrepreneurs do. They are all a student of their own business and industry. You should do the exact same thing. Look for people at your level of success and motivation and higher. Do not approach people who NEED the business. Focus on people who WANT the business. Look for people who have credibility and contacts. Approach success minded people. Most people recruit “down” rather than “recruit up.” This is a huge mistake as I see it. Typically, the people most successful reps in Advocare were already successful in their previous endeavors. I like to personally recruit people with network marketing experience, small business owners, salespeople, and professionals. Those target markets have worked great for me. Just like you have a schedule at your job, you need a work schedule for your Advocare business. This means you plan out your week each week. You determine what days, at what time, and what activities you will do to grow your Advocare business each week. Plan it out, schedule it in your day planner and have the discipline to do the things you know you should be doing, even when you don’t feel like doing it. Work through the people you sponsor and tap into their warm market. Typically, your best people will not be personally sponsored. Instead, they will show up somewhere in depth in your organization. Help each person you enroll sign up someone quickly, from their warm market, and then start working with that new person. Keep repeating this process over and over in depth until you find someone who is a leader. When you find your leader, that’s the person you want to spend most of your time and energy with. This is one of the best Advocare success tips if you want to build a big organization. Just like any other business owner, keep a close eye on your business finances. Keep an updated monthly profit and loss statement. Track your income and expenses. Open a separate checking out for your Advocare business. Consider paying yourself retail for the products, as a way to fund your business expenses. And, make sure you maintain a few loyal retail customers each month to give you good cash flow in your business. Whether you are building your Advocare business online or offline, you should use an auto-responder. This is a software program that helps you manage your leads. Basically, it automates your follow-up process. Realize that most people need minimum five to ten follow-ups before they sign up or join. Some people need even more follow ups than that. You need a way to stay in touch with people UNTIL the timing becomes right for them. I suggest you get an auto-responder to help you do this. I use Aweber. Your job is to set the pace and do the things you want your team members to do. It’s not your job to motivate people. Each person on your team is responsible for their own motivation. Each person is their own boss. That being said, you should set a strong personal example that inspires people by your own actions. Never ask your team members to do something you aren’t willing to do yourself. Set the pace and work with the people who keep up with you! Only a TINY percentage of your team will be willing to work. If you have 100 people on your team, you might have one to five people who are willing to work. That’s it. These are people who are coachable, hungry and willing to follow the system. These are the people you want to spend your time with. Spend 95% of your time with the 5% of your team who are the serious people. And remember, you only need three to five quality people to build a team with tens of thousands of people in it. This is one of my most important Advocare success tips. Do not confuse busy work with being productive. The only two activities that pay you in Advocare are retailing and recruiting, for personal recruits, and helping your team members do it. Everything else you do is busy work. Spend at least 90% of your “business hours” on retailing and recruiting and your business will grow. Focus on busy work and you will spin your wheels. You will not build a big business or get rich overnight. This is a business. It takes time to launch a business and grow it. The goal your first year in business is simply to survive. It normally takes a year or two to make a profit in a new business, and five or more years to build a solid, stable, successful business. Rome wasn’t built in a day. This is not a get rich quick business. It takes time, hard work and patience. Have faith, put in the work, and be persistent and consistent. You need to know your real business. Your business isn’t to just retail products. Yes, you need some retail customers. Ideally, you want to maintain three to ten personal retail customers at all times. Once you’ve done that, you want to focus on recruiting, so you can build up your network. Remember, network marketing is about a lot of people each doing a little bit. It’s not about one person selling tens of thousands of dollars worth of products every month. Everyone uses the products, finds a few customers and sponsors a few distributors. That is how network marketing is supposed to work. If you just focus on the products, you will find customers. If you focus on the business, you will find distributors. If you focus on your vision, you will find leaders. Of all the Advocare success tips I shared with you today, this one is the most important. There you have it folks. These are my top Advocare success tips so you can make more money with Advocare. What are your thoughts? Leave a comment below to let me know what you think. I look forward to hearing from you. 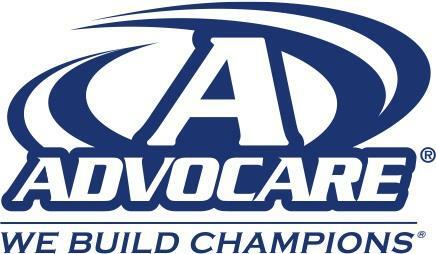 Disclaimer: Advocare is a registered trademark. The views in this article are just my opinion and may differ from the company’s views. Individual results will vary. Having 10-20 loyal customers seems great but it could take some time to get them. Wouldn’t it be better to start with everything (selling and sponsoring people) from the beginning? It makes complete sense to find people that love the Advocare products because then they can really promote them. Someone who doesn’t like the products and just wants to make some quick cash isn’t going to stick around for the long run. So I better get out there and find a lot of Advocare lovers because chances are, some of them will also want to become distributors. Getting friends and family as customers is a good start. If people honestly took the time to make a list of everyone they know, they could easily find 10-20 customers. Just my two cents. I love that they themselves used the products they sell. I never tried them but someone I used to work with did their 24 day challenge. She not only quit smoking but lost 3 dress sizes. She looked like a whole new person in under a year. I am not sure about sales with them but I know their products work. Yes, Advocare has some really, really awesome products. I especially like the advice in paragraph 5: focus on talking to new people about the products rather than the business opportunity. I am not sure why there is such a huge emphasis on leading with recruiting efforts from the very start. You mention in many of your posts that it is important to lead with the product, and I agree. If the people like your product, whether it is for their own use, or for gifts, or just that they see enough the value in the products, they are leaving the door open to the chance that they may someday join your business. Maintain that positive relationship. Let them know that your door is open, but let them come to you. It will probably lead to a longer relationship. Good point, Faye. The products are the business. If no one is ordering the products each month, no one makes money. You can recruit people until the cows come home, but if your new folks don’t order the Advocare products frequently you are wasting your time. The other point in leading with the products is the fact that this way the customers will use and discover all the great things about the products. When they do choose to be distributors, they will understand the products and it will be easier for them. If a person loves the products, they are much easier to sell. Everyday people sell products and do not even earn a commission. They tell others how much they love an item and that person tries it because of the person who referred them. Yes, if you get people using the Advocare products first, and people like them, there is a good chance they will want to become a distributor. And even if they don’t become a distributor, you will still have a loyal customer. Chuck does a great job of explaining why you should lead with the product. I have never used the Advocare products before but his suggestions on working the business make sense. Promoting good products will beat out promoting the business opportunity every time. I just became a distributor and was wondering..
2. Does anyone use car magnets? 3. Should I get flyers or business cards made up and who would I give them to? I would not waste my money on a billboard. They are expensive and definitely not for the new person. A car magnet could work, and might be worth a shot. Business cards are good, so are flyers. My best advice is to get a couple retail customers first from your friends and family. Let your retail profits pay for these things. I agree with the advice against the billboard. They are ridiculously expensive, and many people object to them on the grounds of calling them “visual litter”. You don’t want to spend a lot of money and just get caught up in that hype. Unless you are in Times Square, (and maybe even then), nothing screams “tacky” like a gigantic billboard. There is nothing wrong with doing as Chuck says, and starting out small. Or at least start out “manageable”. Start small, test your results and expand. Nothing will beat talking to people! Chuck has posted many other articles around all the subjects you asked here. I agree with him on the fact about a billboard being much too expensive. You may want to try a car wrap or simple back window advertising on your car…these seem to work well. Car magnets are also very useful. As for fliers and business cards, the business cards are an absolute. You can give them to anyone who shows interest, but more importantly, get their business card. The money is in following up with people. Fliers do also work too. Click around this blog and you will discover a ton of great advice. Meet people and get their business card and then follow up with them. That is one of the best tips I can offer anyone. I have to admit that I am not familiar with Advocare, but I did read the article and your other readers comments because the advice that you give here can be easily transferred to succeed in most MLM businesses. I agree with many of your other commenters: find a mentor. Find someone to help show you the ropes, coach you, motivate you, and hopefully help hold you accountable to yourself. Even if you are unable to find a mentor, find someone within your MLM company of choice that you wish to emulate, and then watch them closely. I’ve been a distributor with AdvoCare for 6 months and have run through my friends and family contacts on Facebook. I’ve generated about 10 customers. How do I start getting customers outside of these contacts? You can ask them for referrals. You can start talking to two or three people a day. You can join the gym and connect with health oriented people. You can advertise in the newspaper. You could start a health newsletter. You could make YouTube videos. You could start a health and wellness blog. I could go on and on. You are only limited to your creativity. All sorts of businesses offer referral gifts to existing customers, so why not MLM business owners? If an existing customer refers a new customer who then makes a purchase, give a small gift to that existing customer. If you have in-home parties or events (many MLM business owners do), have a small gift for any invitee who shows up and brings a friend (or more). Be creative. Think about what has enticed you to either purchase a product or refer friends to a business in the past, and adapt that idea to your own situation. Giving away a free premium when someone becomes a customer or distributor in your Advocare business is a smart move. I have had many people ask me this. Perhaps it comes easier to some than others depending on the environment they are in. I always have business cards or catalogs with my contact name on them with me. I use the products I market, so when people see the products, they will often ask. I also leave catalogs in nice bathrooms that have a sitting room. I have asked for permission to leave them in doctor’s offices too, but more importantly, just casually bringing up what you do with people you are in contact with is a natural approach. I have met so many people through my children, their school, their extra-curricular activities that have kept my business going. Also, ask for referrals. I have several clients that were referred to me because of my clients being satisfied customers. I had not heard of Advocare before today, so I quickly went to their website to see what industry it was in. Use the products. Use them in front of people. Carry a binder with the catalog slipped into the clear sleeve, anything to increase awareness in your circle. Also, I am a big believer in getting involved in your community. Join the chamber of commerce, a sales organization, a charity or volunteer organization. This will keep you meeting people and help you hone your professional skills. So I just became a distributor last week and really need some tips on how to get retail customers. I never sold anything before and I am VERY determined to make more income and spend more time with my daughters. Any tips on getting retail customers???? Use the products yourself so you have a story to share. Always lead with the products, not the business. Pick a target market of people to talk to. Focus on one target market and talk to people in that demographic. Talk to at least five people a day. Keep some samples on hand. Good advice: always use the products and keep samples on hand. Your potential customers and recruits need to know that you believe in your product enough to use it and only it (when at all possible). Giving them samples of good, quality products backs up your words and gets people hooked on and excited about them too. I am glad to see so many people visiting your blog: you have a lot of good information to share. I agree that giving people some samples of your Advocare products is really a great move. If you stick with Advocare and work at it like a business you WILL succeed. I was making $0 a month for 6 to 8 months but I did not stick with it. My good friend Kirk however, did stick with it and he has made a good amount of money over the last two years. Advocare is his life. I was unable to put that much of a commitment into it and as you can see one of us was not successful. All businesses, even part-time businesses, normally take a couple years just to get profitable. No matter what type of business you start, you should make a commitment to sell out to it for at least five years, especially if you are doing it part-time. Rome wasn’t built in a day! My wife and I have been with Advocare for almost five years now. We love the products. We have a small team and make a few hundred dollars per month, which basically pays for our product orders. I’m okay with that though. It’s a great company if you are willing to work it. I’m glad you enjoy the company and do well with it. Keep up the good work. You know Zikry, I just love hearing comments like yours. It is the love of the product that makes great distributors, and it is evident that you and your spouse love the products. It has been 5 years, and I truly believe that with the attitude you have, that income will grow bigger. Many businesses are not even making profits in today’s economy, but with the right attitude and determination, you can have profits from MLMs such as Advocare. Most businesses take several years just to get established. Keep moving forward. You are headed down the right path. I can tell by the tone of your advice that you believe in starting out with a lot of energy, focus, and drive! I think that most people slow down after a few days, weeks, or months after starting their Advocare business. I especially like the advice you give of basically going out for way more sponsors than you want. I’ve found this to be true of anything in life – if you want 30 people to attend a presentation, always, always invite 100! Most people fail because they don’t have the discipline to do the work. They’ll never admit that because it’s fun to blame your failure on someone other than yourself, but it’s true. If all mentors would explain their MLMs as simply as you did here, it would drive more people to get out and make their business work. The figures that Charles put here are very sensible. Getting 10-20 retail customers can be simple. Just visit friends and family. The same with 20-40 distributors. If you pitch 100 people in a weeks time, I see you being a highly successful marketer. Let’s see, 100 people; in six days that is 17 people a day. We easily meet and talk with many more than 17 people a day. As Charles pointed out here, let numbers work for you. Make a plan and follow it. Before you know it you will have a highly successful Advocare business, and you will feel both pride and joy knowing you did it right. Thanks for the comment. This is simple advice, but the bottom line is that most people won’t follow it. Just getting 10-20 customers alone can make you $300 to $1000 in profit each month. To me, that is a successful part-time business. Add in a few distributors, and teach them to do the same, and you can make a really nice income. 2: Turn the customers into distributors. There is no better advice I can give to anyone on this page than lead with the products, get customers and then upgrade your happy customers into business building distributors. Good for you, Michelle. Good luck with your Advocare business. By successful peploe, you have to first be a great follower before you can be great leader. As mentioned, you will have to step out of your comfort zone too. MLM/NWM is one of the best industries where by one can learn how to become a winner themselves and learn to lead others into greatness. Great leaders follow the team concept:T-ogether E-veryone A-chieves M-ore.
just getting going but i like your strategy! Thank you and good luck Tom! These are some great success tips, Chuck. I’ve been struggling to build my Advocare business for the past 11 months. Hopefully, this can help me get over the hump. Good luck, David. Hang with it, try a different approach and keep moving forward. All the best. These are all great points, Chuck. I’ve been with Advocare about 13 months now and love it. I’m making about $1000 per month and have a team of 90 distributors and customers. I hope to keep growing my business in the months and years to come. Good for you, David. Advocare is a great company. Keep up the good work and keep moving your business forward. Here are some of my best Advocare Success Tips. You do need retail customers in order to profit. You have to have good marketing and advertising strategies in order to attract retail customers. Having solid marketing and advertising skills gets your retail product(s) out there and makes them appealing to retail customers so that they desire to purchase those products. It is then good customer service that helps to retain those customers so they keep coming back for more. So true, Diamond. I meet so many folks in Advocare and other MLM Companies that do nothing but try to recruit distributors. Personally, I think that’s a horrible strategy. I think it would be much wiser to focus on getting retail customers. This is where you make immediate retail profits. Assuming your customers like the products, and you treat them well, many of these folks will keep reordering month after month, which puts residual profits in your pocket. And some of these folks will upgrade and become Advocare distributors. That’s just what you want, someone who is a product of the product. It just amazes me when people in an MLM be it Advocare, or any other are consumed with recruiting distributors. The business stays alive not from strictly distributors. As a matter of fact, the business won’t survive if there are no retail customers. I believe a person should look at 5 retail customers for every 1 distributor. What are your thoughts? That is a good ratio Greg. It’s also a lot easier to find a customer than it is to sponsor a distributor. Most people love to buy stuff. There are other ways to develop a good flow of residual income besides selling Advocare products. Blogging is always popular and writing about what you love, like you’re doing here, has made many people successful. Just like Advocare though, it requires a concerted, consistent effort; you just can’t give up. I agree with you that there are many different ways to make money online or offline. While Advocare is a great business model, it is by no means the only business model. I also agree that there any plenty of ways to earn an income online, or not. Advocare does seem to have a great business model, per your review, and I enjoy reading not only your thoughts, but the thoughts of all of your commenters. There are so many good ideas here. I also like to read about the challenges that some of your readers face: it is good to learn from your own challenges, but I think that it can be just as effective to learn from the challenges of others if you pay close enough attention. Advocare is a great company, but it’s not for everyone.